Chic style, luxury, captivating views and innovative dining concepts at 5 star hotels in Sathorn about says it all about our selected venues in this modern part of the city. It borders Lumpini Park to it's one end stretching all the way to the Chao Phraya River and the Saphan Taksin Skytrain station which is located right next to the river ferry pier. The location is even more attractive due to its close proximity to areas such as the Siam shopping district and upmarket Silom. For luxury 5 star family accommodation we recommend spacious 2 bedroom suites featuring kitchenettes, living and dining areas at Anantara, The Oaks or Ascott serviced apartments. Sofitel is fashionably trendy exuding a youthful sophistication and places like Banyan Tree, The Sukhothai and Metropolitan is the choice for the modern discerning traveler. 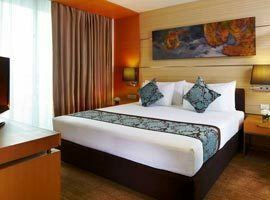 No matter which of our hotels you choose, you are guaranteed a journey into lavish style and comfort at the best Sathorn accommodation prices. 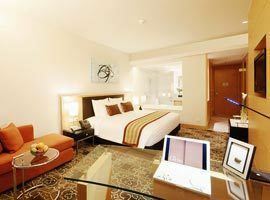 Steps from Lumpini MRT offering over-sized rooms and suites, stunning pool and fitness centre. ideal for group stays offering 1 and 2 bedroom suites with separate lounge and kitchen. 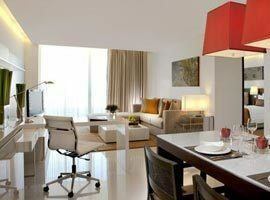 Luxury 1, 2 and 3 bedroom serviced apartments with a comprehensive range of facilities. 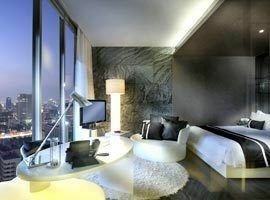 One of the tallest hotels in Bangkok with a one of a kind rooftop restaurant and award winning spa. Certificate of excellence award winner features a stunning infinity pool, family rooms and kids club. 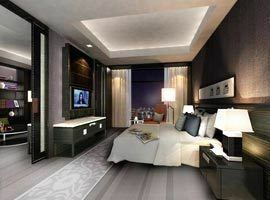 Contemporary luxury in Thai flavoured rooms, an outdoor pool, spa and top restaurant in Asia. 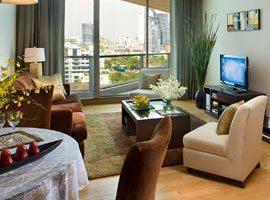 Suites with private balconies, 2 and 3 bedroom suites with kitchenette. Pool, gym and tennis courts. Near Saladaeng skytrain station and next to Lumpini Park. Themed rooms with high-tech facilities. Elegant sophistication in tranquil atmosphere created by gardens with lotus ponds.